Chocolate Chip Cookie S’mores Bars combine two classic desserts to make the best new summer dessert ever! This has to be part of your next summer party! I’ve found the newest, ooey gooey dessert that will be my summer go to favorite way to satisfy my sweet tooth! I’m super excited to be working with Kroger to bring you this recipe today! 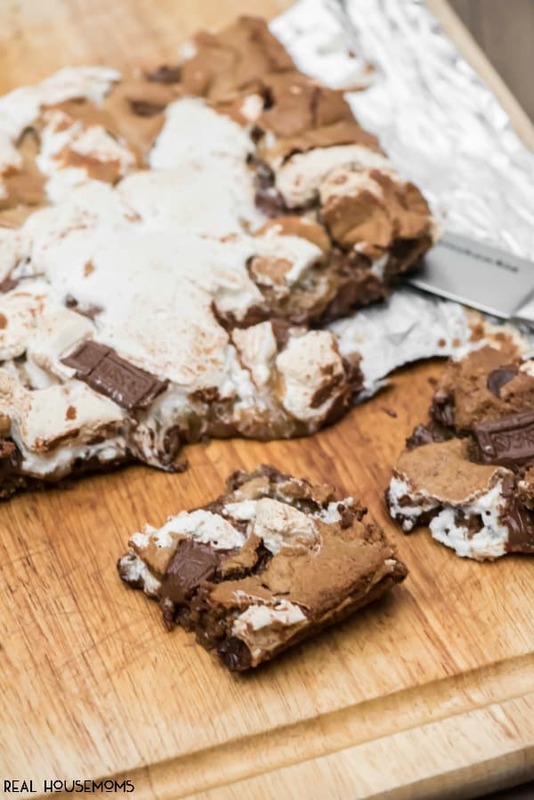 Chocolate Chip Cookie S’mores Bars are insane you guys!!! 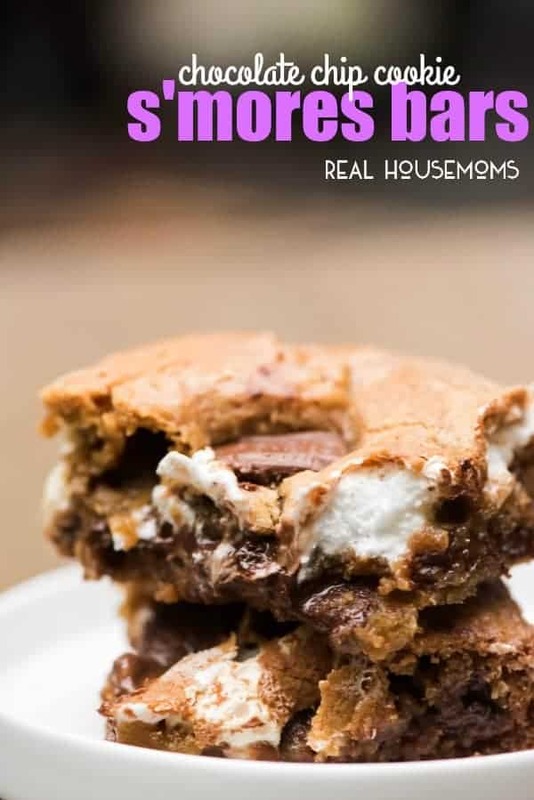 I love chocolate chip cookies and s’mores are an all the time dessert in my family. My mom and dad have a fire pit in their backyard and they would always have everything ready for the boys to make s’mores when we come to visit. Now we finally built our fire pit and every time we have a fire that’s all they want to do! I’m totally OK with it though! What is better than melted chocolate, and toasted marshmallows? I’ll tell you what! Melted chocolate with toasted marshmallow and chocolate chip cookies!!! We’ve been working to expand out deck in the backyard. I can’t wait to show you guys when it’s all done. There are wrap around stairs and lights and eight foot wide stairs! It’s going to be amazing and we’ll be out back all summer long. I plan to have friends over all the time to our little backyard park and of course I’ll be serving Chocolate Chip Cookie S’mores Bars. They’re the perfect dessert for a BBQ. You can make them the day before or early in the day and then just slice them up and pass them out! So easy! We were super excited to get about an hour and a half break from the deck construction with no kids the other day. I talked my husband into running to Fred Meyer with me to get some of the blog groceries that I needed so we could hang out. We decided to grab a tea/coffee when we were done and I got to hop on a Facebook Live Video for the first time! Did you see it? If not, it’s OK, you can watch down below. I LOVED getting to chat with you all and get ideas for summer recipes! I also got to find out where you all are! I had so much fun with you all that I’m going to try and do that more often! Keep an eye out!! Chocolate Chip Cookie S'mores Bars combine two classic desserts to make the best new summer dessert ever! This has to be part of your next summer party!